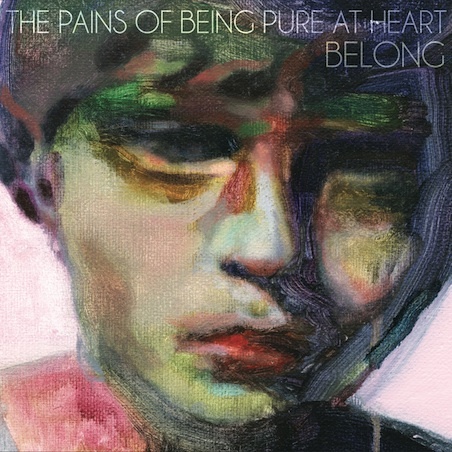 The eagerly anticipated second album from Brooklyn indie shoe-gazers The Pains of Being Pure at Heart is out on March 28th, released in the UK by Play it Again Sam or on March 29th in the US through Slumberland Records. Belong, the follow up to the bands self-titled debut record which brought the band a large amount of critical success, has been made available to stream. Unmistakably, the tracks belong (great pun) to the TPOBPAH shoe-gazey songbook, but there’s definitely a touch more crunch in their guitar and less reliance on the noisey/scuzzier elements of the last album and suggest a more straight-up indie pop record. ‘Anne with an ‘E”, the title track and upcoming single ‘Heart in Heartbreak’ can be streamed below, also check out a full track listing and the albums impressionist artwork. This entry was posted on 14 March, 2011 at 9:00 am and is filed under News, Stream with tags play it again sam, slumberland, The Pains of being Pure at Heart. You can follow any responses to this entry through the RSS 2.0 feed. You can leave a response, or trackback from your own site.